ExpressJet Airlines, a United Express carrier, has reached a tentative agreement with the International Association of Machinists and Aerospace Workers (IAM) for a four-year contract covering the company's more than 650 flight attendants. The agreement, upon ratification, will unite employees currently covered by two separate agreements into a single workgroup, providing flight attendants the flexibility to work any aircraft across the ExpressJet network. "This tentative agreement recognizes and rewards our flight attendants for their dedication to safety and exceptional customer service," said Vice President of Inflight Services Brandee Reynolds. "It is a significant milestone in our progress as a United Express carrier, and I greatly appreciate the work of the negotiating teams." 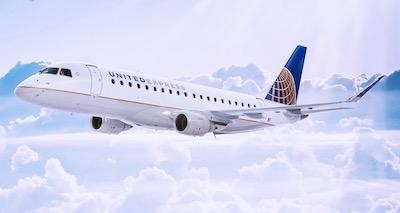 ExpressJet recently announced the addition of 25 Embraer E175 aircraft to its fleet, starting in June, to be flown on behalf of United Express. This agreement will further support the speedy, eight-month deployment of these aircraft.